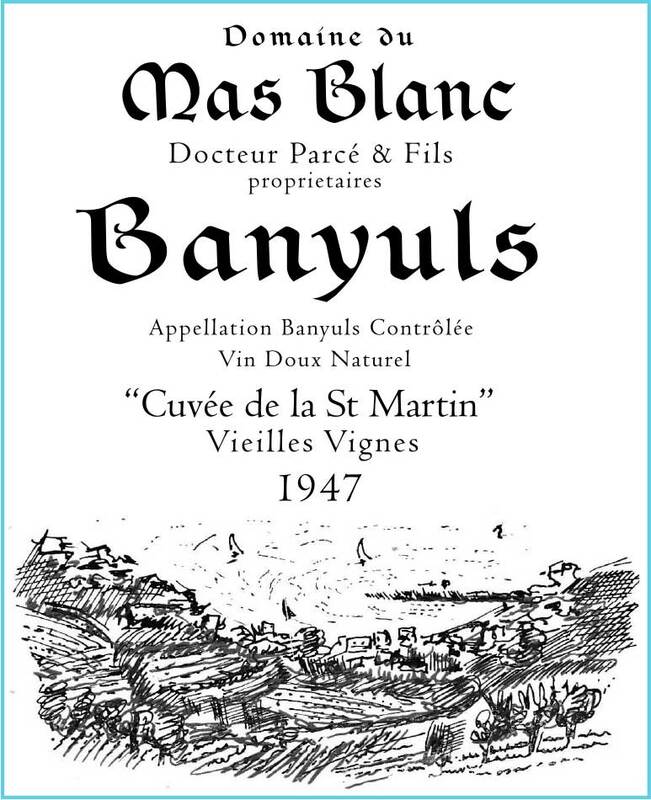 The Domaine du Mas Blanc Banyuls “Cuvée St. Martin” 1947 is the last vintage made by Dr. Gaston Parcé, the original “Docteur Parcé” who began estate bottling in the early 1920s and was instrumental in Banyuls’ recognition by the French AOC in 1936. It represents the legacy of three generations of the Parcé family, a testament to their vision and advocacy of one of the great terroirs of France. 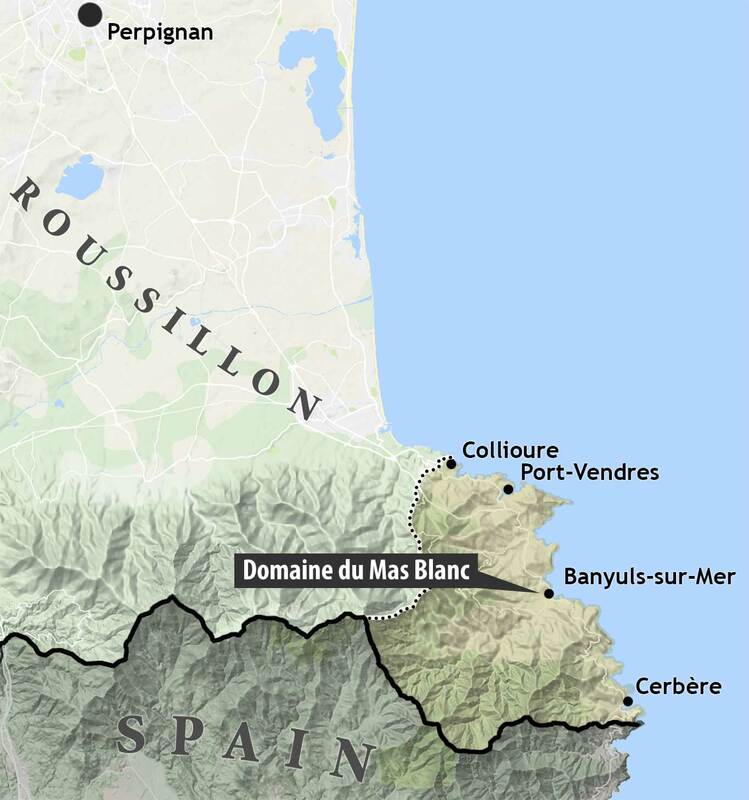 Named after the feast day in October when Banyuls grapes were traditionally harvested, it comes from what is perhaps the prized of the domaine's vineyards: Coume del Mas, a 1.5-hectare, east-facing parcel that sits at 350-meters, overlooking the Mediterranean Sea. The soils are classic brown schist and decayed shale; its old-vines planted in the gobelet-style to protect them from the wind. Yields are just 15 hl/ha. Hand-harvested, vinification was traditional: trodden by foot and fermented in barrel with native yeasts. 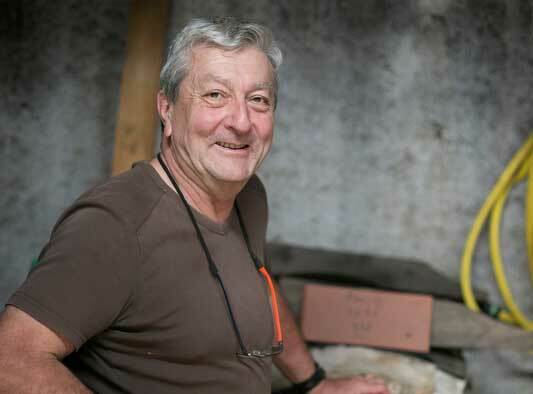 Elevage in Mas Blanc’s ancient demi-muids might last 10-20 years, depending on the vintage. Always limited, a small portion of its production was set aside for inclusion in the estate’s library of its most important wines, a practice inaugurated by Dr. André Parcé in 1947. 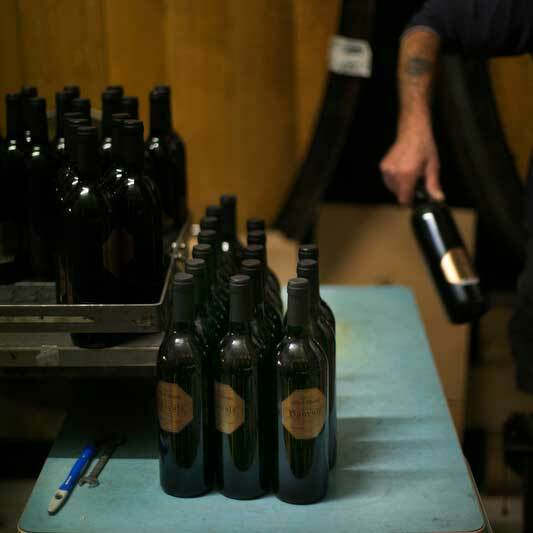 Now part of the Domaine du Mas Blanc legacy project, Sotolon Selections joined third-generation winemaker Jean-Michel Parcé in evaluating each bottle, selecting only the best of these for re-bottling in a 375-ml format—assurance of the wine’s impeccable provenance and quality. Quantities are extremely limited. Banyuls is the finest and most complex of France’s fortified Vin Doux Naturels, a dark wine borne of sea, sun and stone. It emerges from one of the most spectacular terroirs in all of France: a terraced patchwork of steep, windswept vineyards set hard by the Spanish border, where the Pyrénées tumble into the Mediterranean Sea. This is Catalan country, stubborn and fierce, where man and mule have tended ancient vineyards for centuries. With Maury and Rivesaltes, Banyuls was one of the first appellations recognized under the French AOC system in 1936. Co-extensive with Collioure, its schist-dominated vineyards rise to altitudes of 750 meters and retain the distinctive “feixas” terraces and stone-lined canals known locally as “les agulles” (“the needles”), constructed centuries ago to prevent erosion and manage the region’s infrequent but often torrential downpours. 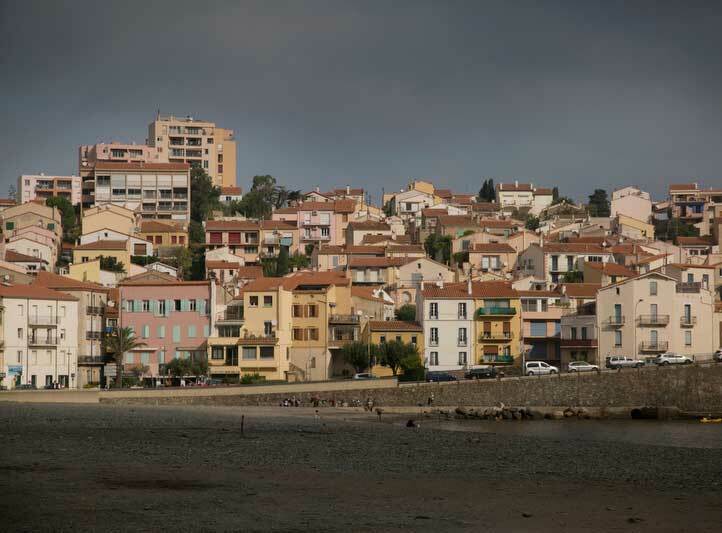 There are four Banyuls communes that dot the coastline of the Côte Vermeille before the Spanish border: Collioure, Port-Vendres, Banyuls-sur-Mer and Cerbère. With old vines and exceedingly low yields, production is necessarily tiny. Banyuls can be made white, rosé or red, but the large majority of wine produced is red, and Grenache noir, gris and blanc form the backbone of any blend. It can be made in two basic styles, depending upon its elevage: Banyuls Rimage is bottled young, its evolution (like that of vintage Port) necessarily in the bottle. Banyuls traditonnel is aged oxidatively for a minimum of five years before bottling; with or without temperature control (and occasionally out-of-doors); and in a variety of containers ranging from old barrique, demi-muids and foudres, as well as glass demijohns. Classic Banyuls is defined by its grace and nuance, its proximity to the sea serving to temper its native power, lending a savory, smoky maritime character to its wines.